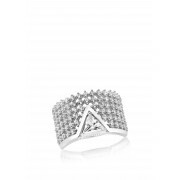 Rows of sparkling clear pave stones creates a stacked appearance on this gorgeous silver ring from Waterford Crystal which would be a glamorous choice for a night out or special occasion. 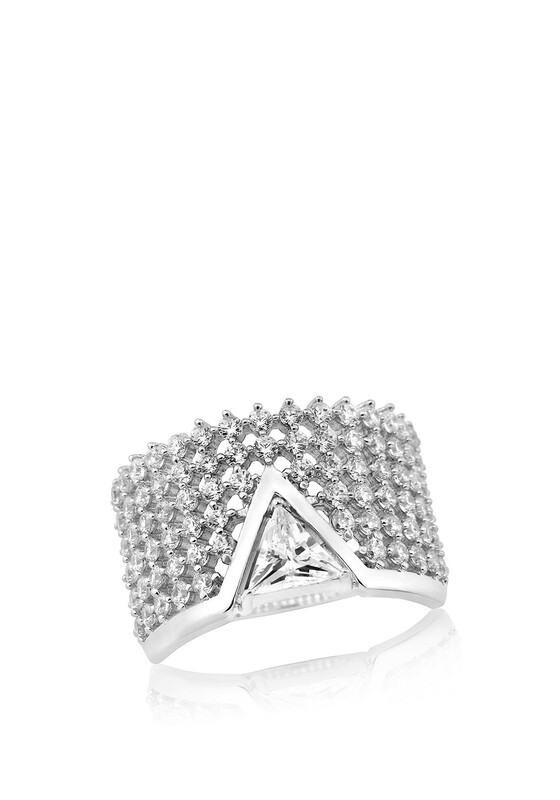 Featuring a larger triangle shaped stone in the centre. Made from rhodium plated sterling silver.